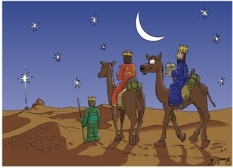 9 After this interview [with King Herod] the wise men went their way. Once again the star appeared to them, guiding them to Bethlehem. It went ahead of them and stopped over the place where the child was. 10 When they saw the star, they were filled with joy! Light from the stars & moon illuminate this scene. 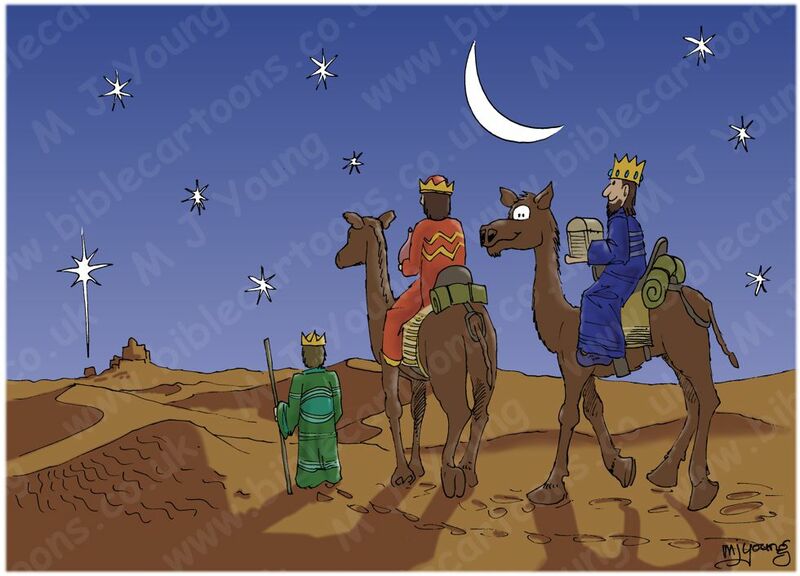 3 wise men & 2 camels. Note the star over Bethlehem that guided the 3 wise men to the Messiah. This is one of my early Bible Cartoons, you can tell because it is quite simple, with little detail.